Anyways, pesto is one of those things I love to order when out. But after seeing classic pesto on Jenna’s blog, I wondered, why not make my own? Sounds simple enough, right? And it is…very simple. And divine! Cook pasta according to directions. Transfer to a large serving bowl after draining. Grill chicken breasts until cooked through. Chop into strips and add to pasta. In a food processor combine pine nuts, garlic, olive-oil, basil, cheese, and salt. Process until smooth. 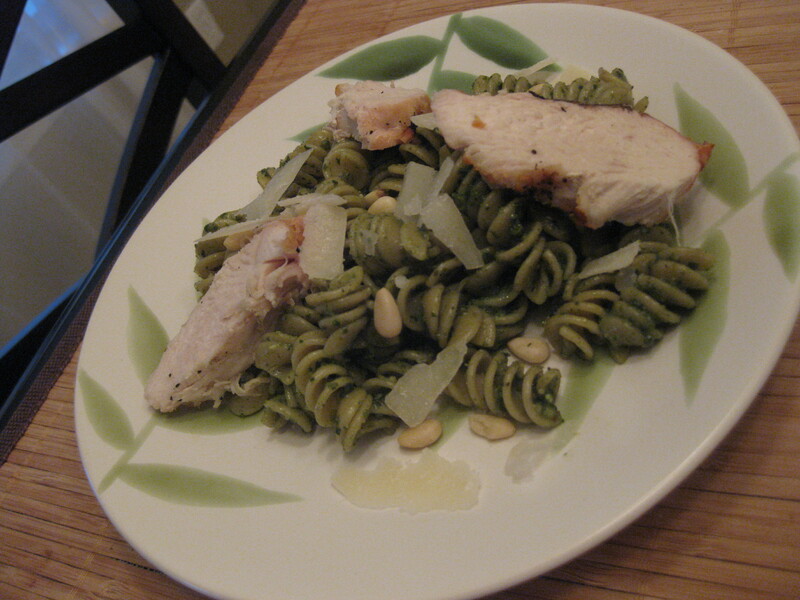 Top the chicken and pasta with the pesto. Stir until well combined. Garnish with Parmesan or Parmigiano Reggiano shavings and pine nuts, if desired. Serves 7. Result: This was heavenly!! I only wished Mr. Prevention was there to share it with me. Or my BFF…she’s a pesto lover, too! I will definitely be making more pesto! And with the addition of chicken, it’s a great balance of complex carbohydrates, lean protein, and healthy, mono and polyunsaturated fats. 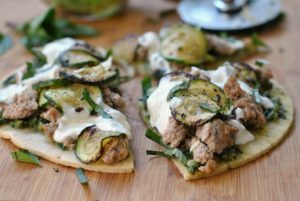 I love balance and all-in-one meals! It’s been a serious TASK to manage Lily, Mr. Prevention out of town during the week, 12-hour work days with my commute, and keeping a house on the market clean enough to be shown at any time! Plus, interviews and paperwork for real estate up to wazoo! Happy birthday to my car! It is ONE year old today and has 24,550 miles on it! Holy moly! Question: Do you drive a lot? How long is your commute to work/school each day? Thanks for all your support and love during all my life changes! Means so much! Hugs! My drive to work is only about 5 minutes. My drive to the gym is only 2 minutes! But my hubby makes up for it – he commutes about an hour each way. Happy everything is falling into place for you guys! I have no car and honestly don’t really miss it :). Ahhhh, a house AND a job?!? Congrats, girl!!! Sounds like everything is really working out! I love making pesto. I use my summer basil to freeze some pesto for the winter. It’s really easy to make vegan too by simply replacing the Parmesan with nutritional yeast. It tastes just as good! Congrats on the house and job front! How exciting. I don’t drive much at all. We live in RI it’s small. Everything is 5 minutes away. It’s kind of nice. I love pesto! Nothing beats fresh pesto in the summer! Congrats on the house!!! So exciting! I drive about 18 miles each way to and from work. Congrats on the job, and the house! 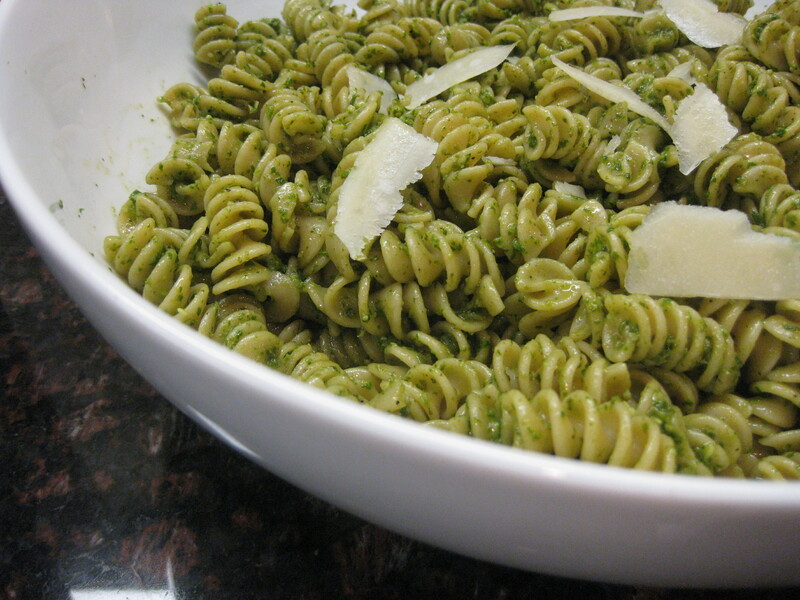 Its so amazing how things just come together =) And that pesto…well..I’m obsessed! Either way, my car is definitely packing on the miles slowly… eek! Congrats on closing! I hope everything will go smoothly! That pesto looks awesome! Definitely one of my favorite pasta sauces. I always make batches upon batches during the summer and freeze them for winter. And congrats on both the house and the job offers! Congrats on the house and the job! 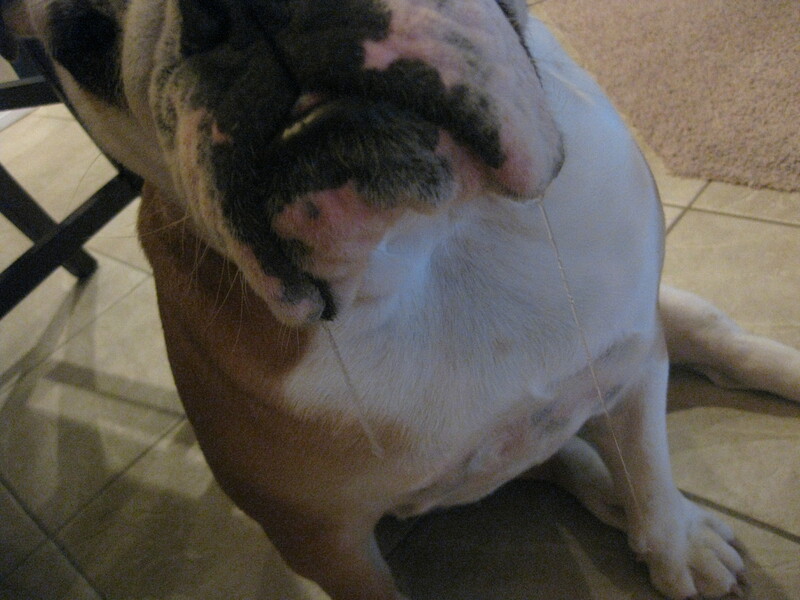 Oh my gosh,our bulldog drools SO much too..especially in the summer, but you gotta love em’! And I always buy pesto, but I should really try my hand at making my own. Congrats on all the wonderful things going on in your life!! I take the train to work, so I drive to and from the train station during the week, but I love to drive! congrats on the job offers!! I’m glad you loved that pesto, too. I thought it was amazing! That pesto looks really good! Congrats on the new job and house too! The pesto looks so good, fresh and colorful! You are CRAZY BUSY! Congrats on the house, so exciting starting a new chapter in your life. AND…2 job offers in THIS economy?! You are very qualified and it does not surprise me, but you should be thanking your lucky stars for that! My commute is about 20 minutes, up to 30 in traffic – not bad at all! That looks delicious! I need to make pesto! Thanks for the reminder! Congrats on your job offers and finding a house!!! We’re selling our house so I feel your pain with keeping it super clean all the time. My commute is about 15 minutes…. I love fresh homemade pesto!! 🙂 My mom makes some with her homegrown pesto leaves every summer and it is amazing. I’m so excited to see you make pesto… I am excited to try making a real pesto after the quasi-pesto I made the other day. I have SO much basil! Okay, your dog drools as much as our dog does!! As soon as he hears the cutting board hit the counter, he’s at my feet! Hooray for the house and job situation – two very important things! MMM that pesto looks incredible!! HAHA your dog drools so much! I don’t think I’d like that very much haha. Nothing like fresh pesto, I definitely need to make some soon, but my basil isn’t yet supplying quite enough. LOL Lily has nothing on my mother’s mastiff, that dog drools and I swear it’s what they make superglue out of! My lab could be one of Pavlov’s dogs I say dinner she starts drooling, so gross. Awesome about the job and the house, seems like everything is falling into place! She’s adorable, but my goodness that’s a lot of drool!! 🙂 And I loooove homemade pesto. HAHAHA even with drool, Lily is still a cutie! and EVEN with 5 more lbs…. Good luck with the house! it seems like all the bloggies are moving into new homes =) OHH and congrats with the job offers! Good things DO happen to good people! Homemade pesto is the besto! Lol is that dorky? Sounds like you’ve got a good situation going on and that all will work out. YAY!! So exciting that you have a house AND job so quickly. Thats gotta be a good sign eh? I hardly drive at all. Ive had my car for 3 years now and I just hit 25,000 kms. Which thanks to Google, I now know is 15,534.32 miles. My commute is about 20 minutes, but thats only because of traffic. I could probably do the drive in 10 minutes if I really, really wanted to. I love pesto! 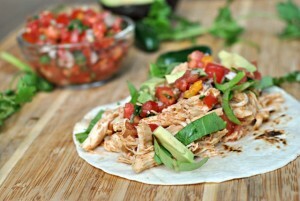 I have all the ingredients to make it and am thinking I should give it a whirl. Nothing beats homemade. Glad you got a house and a couple job opportunities! Definitely eases the stress. My commute is 18 miles, which takes about 25-35 minutes depending on traffic. I don’t mind the miles….but I am a traffic hater – it gives me road rage! I live about 10 miles from my gym. Whenever I don’t feel like driving I will run or bike up there! Congrats on the job offers + house! I’m excited to read more about your new position when you pick one (or share the one youve already picked ;P). I have been craaaaaving pesto for a WHILE now – cannot wait to try out this recipe!!! *Must buy more fresh basil! And Lily is adorable as always! girl you sure do know the way to my heart 🙂 Seriously – I LOVE pesto!! its probably the best pasta sauce/topping ever. Def. drool worthy! congrats on two job offers!! Leave for one week and look what happens here! New house,new job, growing dog,…. 🙂 Glad to see you are doing well! Pesto looks so delicious,love the colour….and i hope lily is doing fine now..